On Monday, Ted Cruz revealed that he asked President Trump to come to Texas and campaign for him as he faces a tough Senate race against Democrat Beto O’Rourke. With polling numbers not looking good for the GOP candidate, Cruz is on his knees begging his archenemy for an endorsement and frankly, it’s hard to watch. While on the campaign trail in Seguin, Texas, Cruz said, “I would certainly welcome his support, and I hope to see him in Texas. I think we are likely to see the president down in Texas before the election.” However, Cruz’s relationship with Trump has been contentious since their 2016 GOP primary battle—oh, and that time Trump insulted Cruz’s wife on Twitter. Cruz said that while they have had their “ups and downs,” he is trying to become an ally to Trump. Keep in mind, Cruz already caved once when he offered a full endorsement of Trump only a few months after Trump insinuated his father helped assassinate President Kennedy. 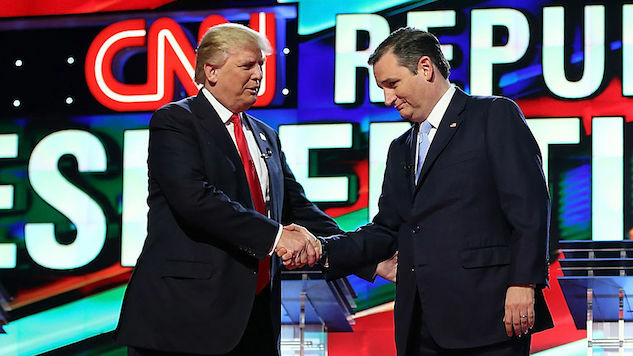 Now, Cruz is hoping Trump will return the favor, as an endorsement from the president may be his last hope. Cook Political Report originally rated Cruz and O’Rourke’s race “likely Republican,” but has recently shifted to “lean Republican,” showing that O’Rourke is gaining quickly on Cruz. A new Texas Lyceum poll also shows that Cruz is in trouble, putting O’Rourke ahead with a two-point lead. Whether Trump’s ego stops him from answering Cruz’s endorsement pleas, or he takes pity on a clearly broken man, soon enough we may very well see a portion of Texas turn blue.